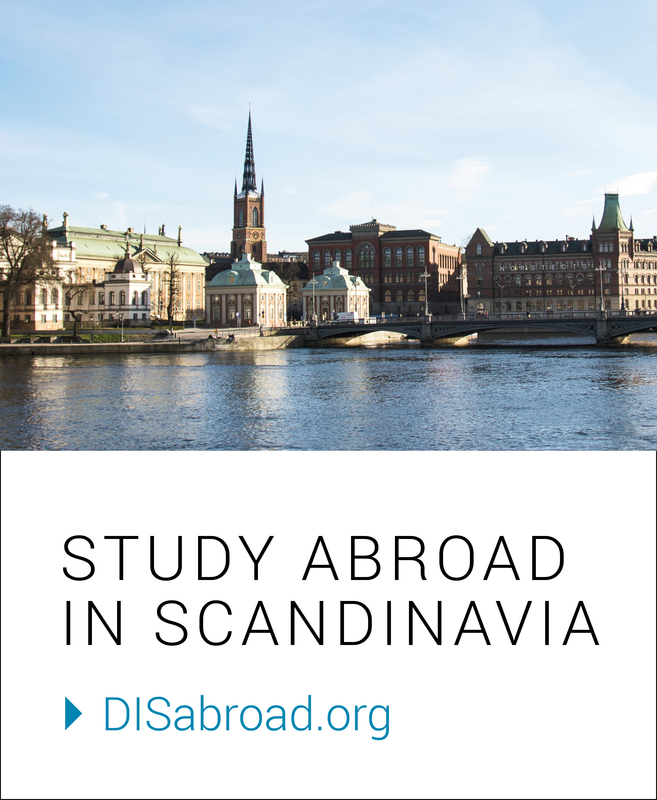 Are you interested in making the most of your time abroad in Denmark? Vicki, Duke University, is studying at DIS Copenhagen this spring. She has truly made efforts to engage with the local culture, by taking Danish Language and Culture: Level I-II, working at Studenterhuset (Copenhagen’s Student Union), and living in a Homestay. DIS: Why did you decide to take Danish Language and Culture: Level I-II? Vicki Z.: On the last day you’re able to change courses for the semester, I was getting coffee at a local cafe. “En kop cappucino tak,” I said, but that was it. I had to respond an inquiry regarding cocoa powder on the top with “Sorry, what did you say?” It occurred to me at that moment of embarrassment that my ambition to always speak the language of the place I live in has not reduced with time. I transferred into Danish Language and Culture: Level I-II and have really enjoyed it. The class size is tiny and we have grown very close. DIS: How do you use Danish in your daily life? How have you been using Danish at your Homestay? VZ: Mostly just to get coffee — and also to serve coffee. But I do find gratification in sustaining conversational rebounds completely in Danish. My darling host family also makes an effort to listen as I (very) slowly recount my day in Danish. DIS: How has learning Danish helped you understand Danish culture and society? VZ: Quite a few Danes I have met find it fascinating that I am taking intensive Danish despite the brevity of my stay, so it’s a great icebreaker by itself. My friends at Studenterhuset, where I work, help me progress. I enjoy walking around a lot, and watching the posters and signs I pass by starting to make sense is quite satisfying. DIS: Tell us about Studenterhuset – what is it and what do you do there? VZ: Det er meget dejligt! I work as a barista (or bartender, depending on the hour of the day). It is a student-run coffee bar associated with Copenhagen University but where students from all over the world can sign up to help bartend, practice foreign languages, organize music and sports events, etc. They have been running for quite some years and readily welcome volunteers, even those staying for a couple of months. DIS: Why did you decide to work at Studenterhuset? VZ: I love coffee! I also wanted to try out the service industry (ultimately I want to practice law, which is, to a great extent, servicing people and cheering them up on their bad days – in my case right now, I’m cheering people up with coffee/beer!). Studenterhuset has this incredibly enriching social component that I don’t think I can gain anywhere else. DIS: Tell us about your Homestay – who are they and what makes them special to you? VZ: My host parents are retirees who continue to do fun things, like carving out seagulls from wood and playing bridge with kids. There are a lot of cute things that they say and do for my “identical twin” (the other DIS student living in my Homestay) and me. Even when we are juggling several tasks, my roommate and I try to be home for dinner as this would be the time for us to all catch-up and bond. And it’s not just our host parents! Every other Sunday, we have an extended family dinner of sometimes over 15 people, ranging from grandkids to former students who are now DIS interns. I’m the carrot/potato peeler of this family, so believe me when I say I know what an extended family dinner feels like. DIS: Why did you choose to live with a Homestay? VZ: I believe that studying abroad is invaluable in pushing myself out of the comfort zone, and then gradually making that foreign space comfortable. Both steps are difficult but rewarding. I chose a Homestay because that’s how I would be able to experience and embrace Danish culture first-hand and try out the Danish lifestyle as I see it. After all, all efforts should amount to figuring out an optimal, personalized way of living.